31/08/2018 (EN) SYNTHPOSIUM FESTIVAL - Stanislavsky Electrotheatre, Moscow, Russia. 07/12/2017 (EN) THE BALTIC SEA CULTURE CENTRE - Gdańsk, Poland. 22/04/2016 (FR) FIAV (Festival International d’Art Vidéo) - L’Usine, Centre d’Art - Casablanca, Morocco. 29/01/2016 (FR) LA SEMAINE DU SON - LE BOTANIQUE - Bruxelles, Belgium. 30/10/2015 (EN) MUSICACOUSTICA - BEIJING 2015 - Beijing, China. 28/10/2015 (EN) YU GONG YI SHAN - Beijing, China. BEAM Festival - Deptford Town Hall (Goldsmiths University), London, UK. 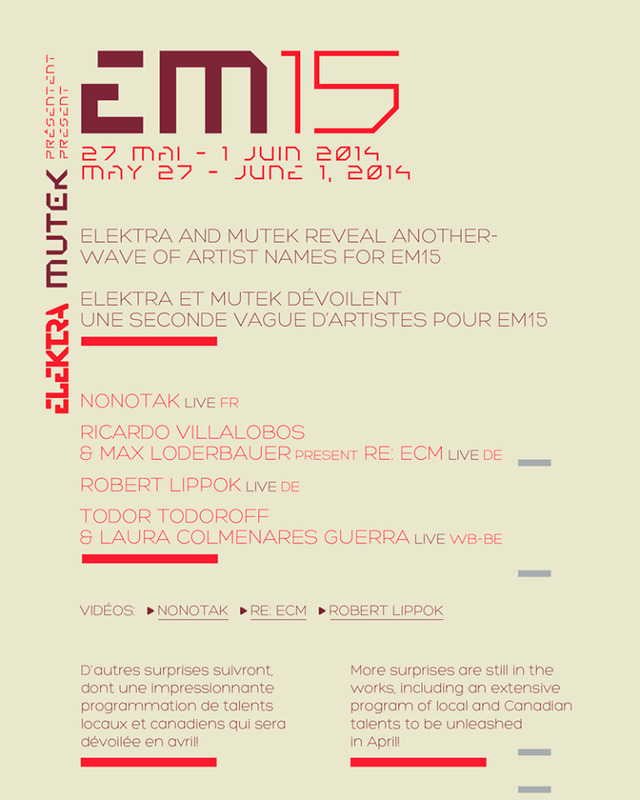 29/05/2014 (EN) EM15 ELEKTRA -MUTEK - International Digital Arts Festival Montréal (QC), Canada. 20/03/2013 (FR) INTERNATIONAL CONTEMPORARY MUSIC FESTIVAL - ARS MUSICA 2013 – Les Brigittines, Brussels, Belgium. 11/10/2012 (EN) LE CUBE - Centre for Digital Creation - Issy-les-Moulineaux (Paris), France. 09/05/2012 Journées d'Informatique Musicale 2012 - Extension du Corps Sonore - Musiques Nouvelles - Maison Folie, Manège. Mons, Belgium.